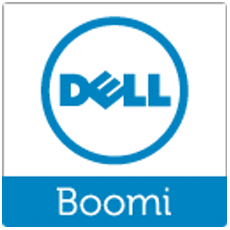 Dell Boomi is a business unit of Dell that offers the first systems integration solution built in the cloud. Boomi quickly connects any combination of cloud and on-premises applications, helping enterprises of all sizes to accelerate time to market, increase sales, and eliminate the challenges associated with systems integration. Boomi AtomSphere is a powerful Integration Platform as a Service (iPaaS) designed to support application integration between SaaS platforms, applications, and on-premises systems. AtomSphere uses a visual interface to configure application integrations. Using drag-and-drop integration process and data mapping tools, along with a library of application and technology connectors, you can build simple to sophisticated integrations with exceptional speed. A visual design interface eliminates the complexity that would typically require significant developer resources. Dell Boomi connects more than 200 applications, letting you configure your data integration and management processes at a pace that is not possible with traditional software packages, hardware appliances, or custom coding.